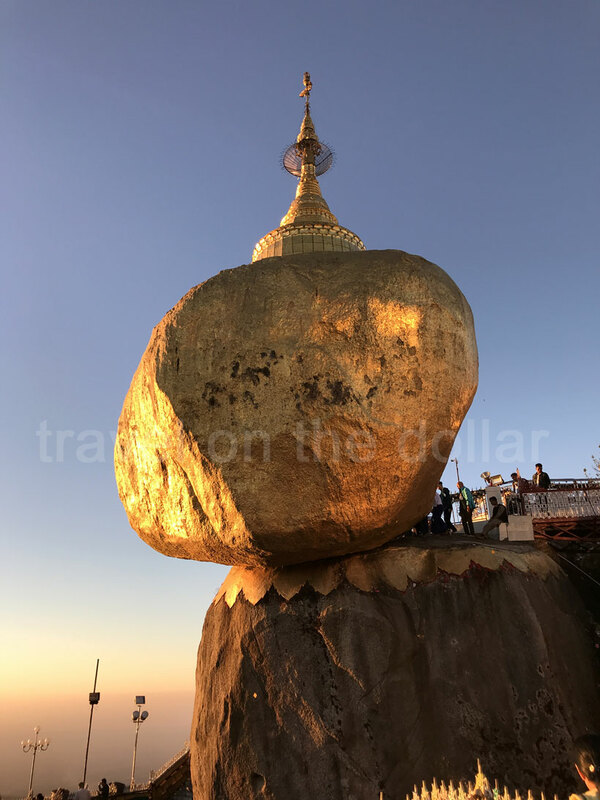 The Golden Rock, that sits on top of a hill, is one of the most sacred sites in Myanmar. 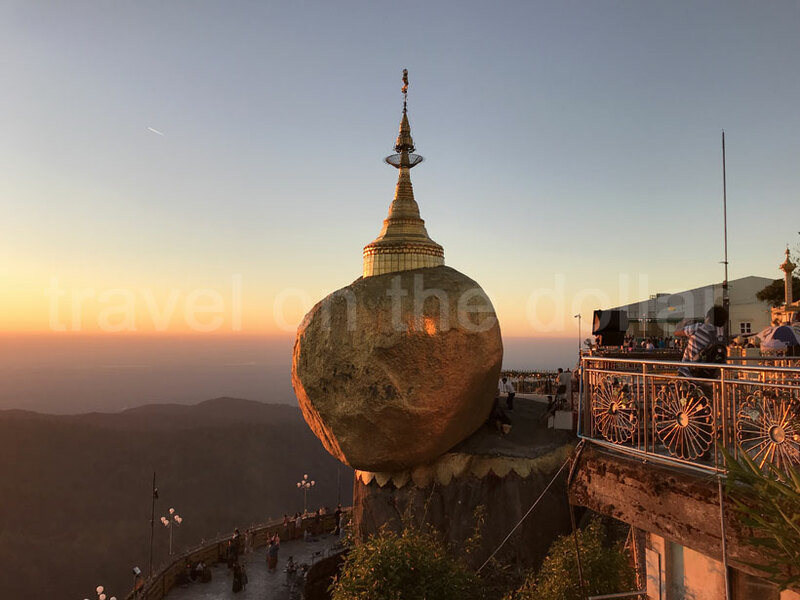 The boulder balances on the edge of a cliff and according to the legend, it is kept in place by a single hair of Buddha. 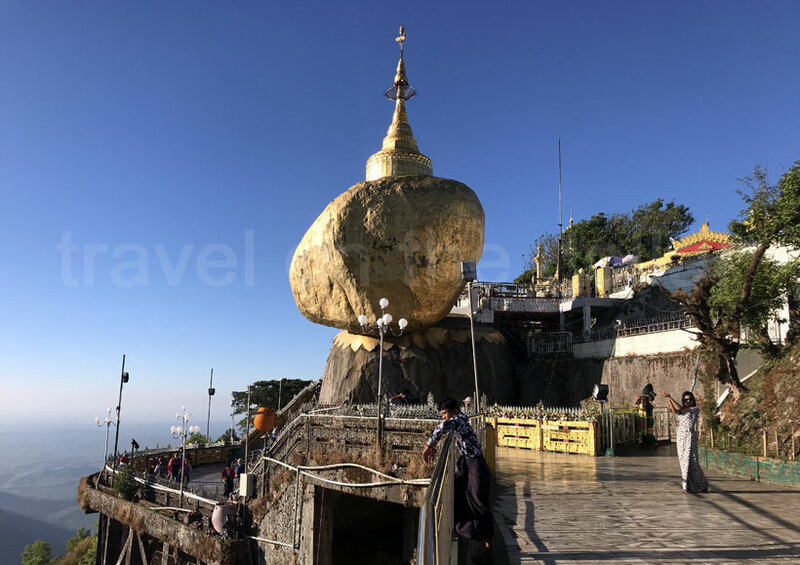 An endless stream of pilgrims come to admire the sight and add squares of gold leaf to its surface. This can only be done by men. 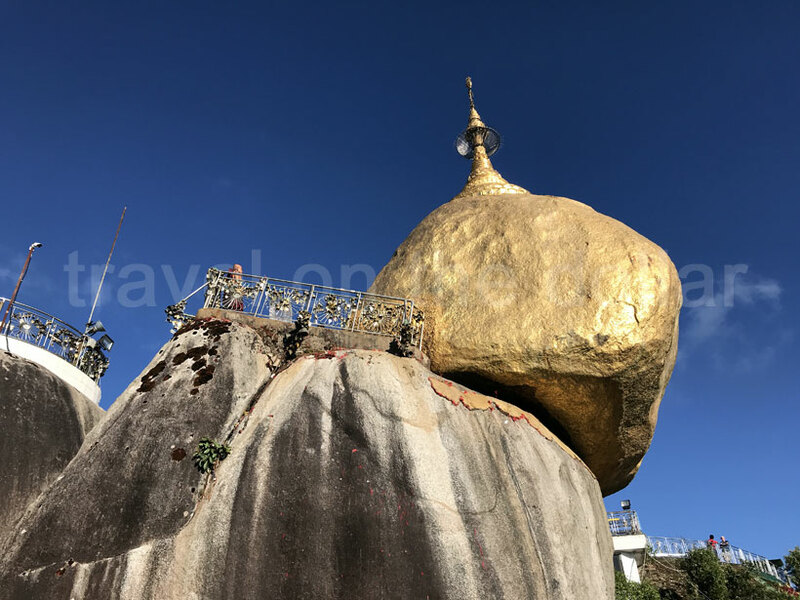 The only reason people go to Kinpun is to see the Golden Rock. Other than that this tiny town has nothing great to offer. Hike up the mountain takes anything between 4-5 hours, depending on your fitness levels. And the down hike takes about 3 hours. The hike is in the ‘intermediate’ level and requires you to climb footsteps and gravel roads. 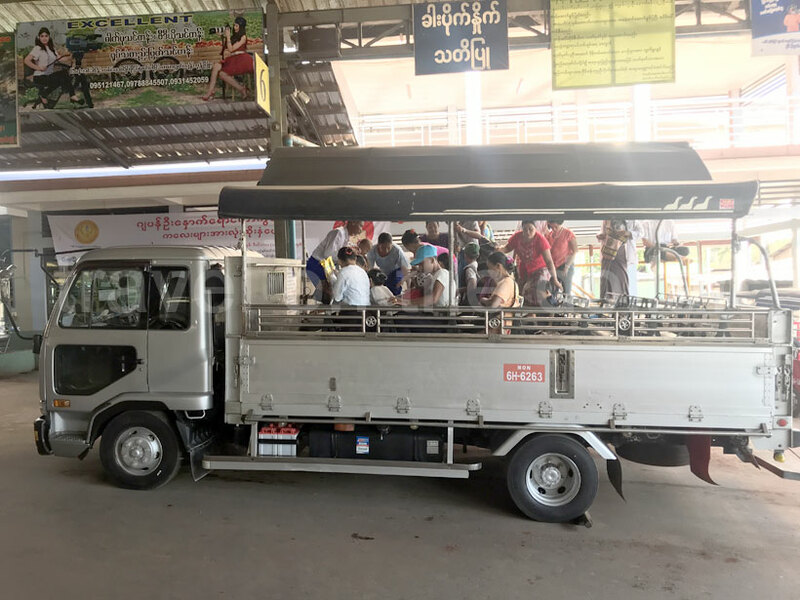 Take a truck leaving every 15-20 minutes from Kinpun bus station, and costs MMK 2,000 one way. 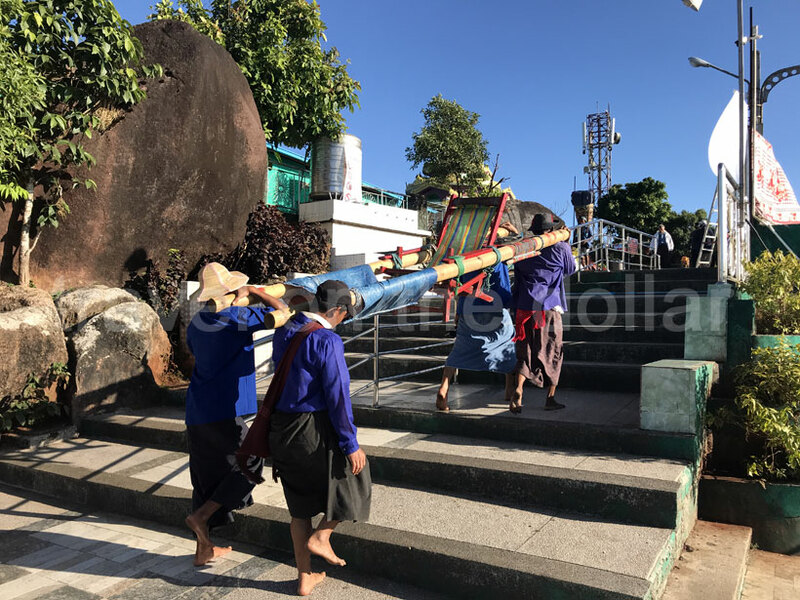 It is possible to get carried up the mountain on a Palanquin, a transport cart powered by the legwork of two persons bearing the cart’s and the occupant’s weight on their shoulders, for around $10. 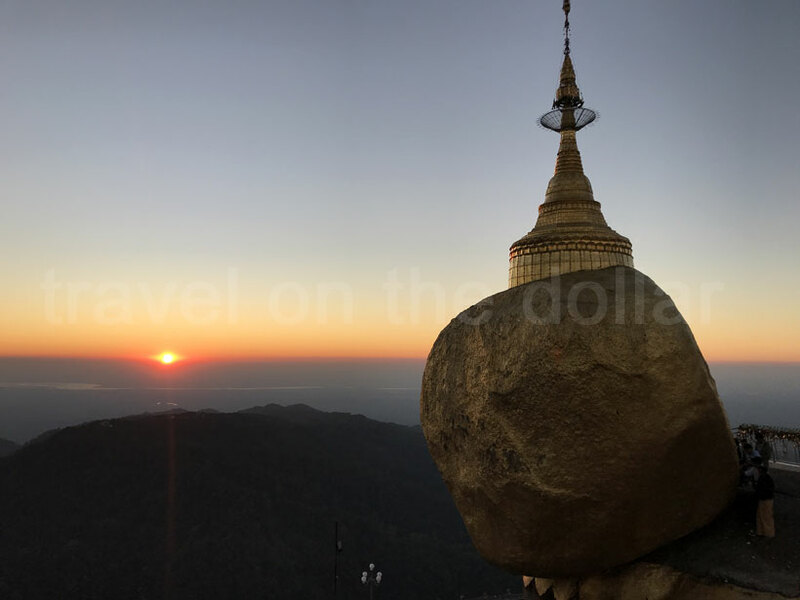 The best time to visit the Golden Pagoda is sunset because the sun is setting facing front of the rock, whereas the sunrise will be behind the mountains from the rock. I opted for the latter option of taking the truck. I relaxed all day and after lunch at ‘Sea Sar restaurant’ in Kinpun, I headed out to the town’s bus station at 2pm. The bus station has many trucks waiting so just board the waiting trucks without a ticket, part-way up the mountain the truck will stop and money will be collected from each passenger. The truck isn’t full unless there are 6 people sitting on the wooden benches. And there are 7 lines of benches. The drive is pretty ‘rough’! You can have a more comfortable ride for MMK 500 by sitting in the front next to driver. REMEMBER that the last truck leaves at 6pm (+15 minutes sometimes). 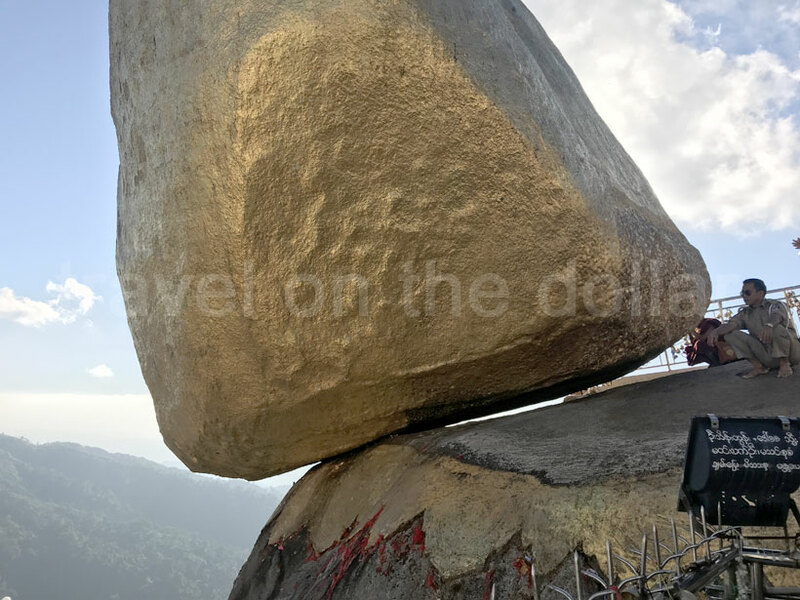 The trip up there with the truck takes about 45 minutes, and then a short 15-minute walk to the rock itself. 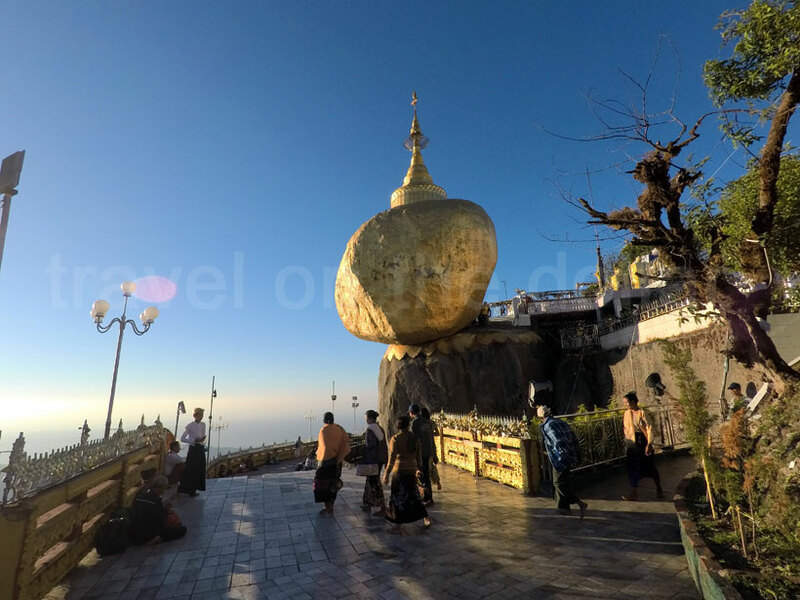 Entrance fee of the Golden Rock Pagoda is MMK 10,000 and you have to take of your shoes and wear something which covers your knees and shoulders. Right after 5:45pm I headed back to the bus station on top of the mountain to catch the last bus leaving at 6pm. It costs the same, MMK 2,000, for the ride back.